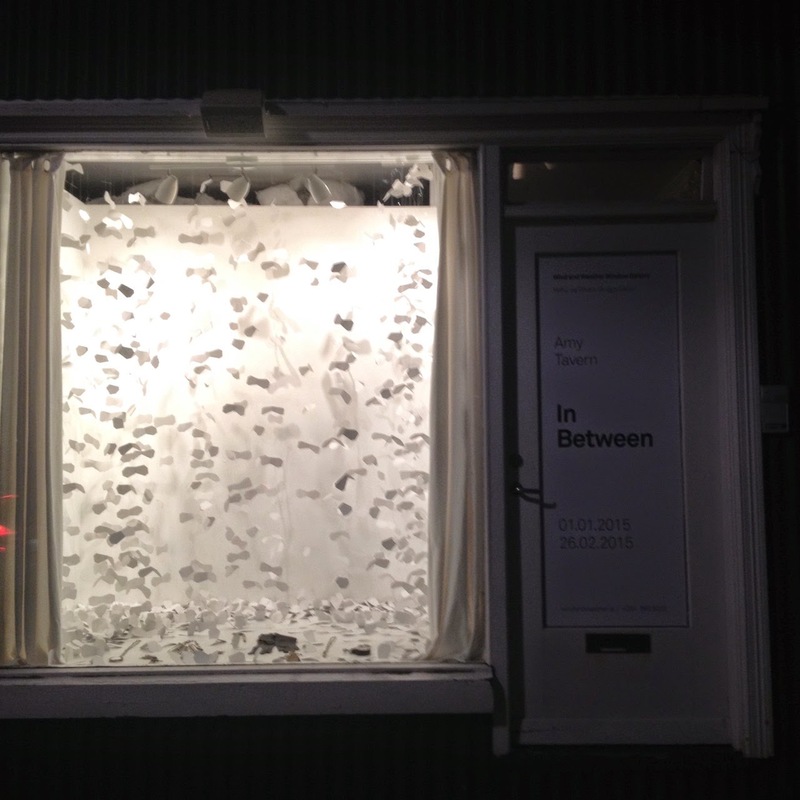 "In Between" has been up at Veður og Vindur-Wind and Weather Window Gallery in Reykjavík, Iceland for just over a week! I do hope you will visit the exhibition if you live in RVK or check out Window Gallery Iceland on Facebook or the Wind and Weather Window Gallery website. If you do visit at some point in the next two months, please take a photo and send it to me at atavern@gmail.com. I would love to collect images of the piece at different times of the day and night over the course of its two-month run. The limited and changing light will effect the work in different ways and I would like to see what happens. Thanks to RX Beckett for this first picture!